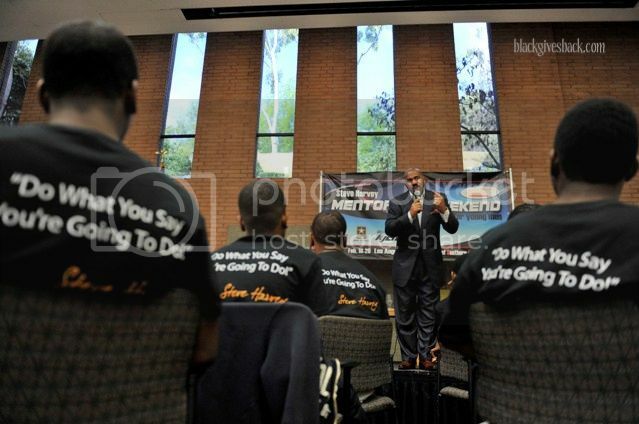 Steve Harvey talks Dream Building and Manhood with boys at the Steve Harvey Mentoring Weekend for Young Men in Los Angeles in 2011. Newark, NJ – On Saturday March 23, 2013, radio host, author, talk show and Family Feud host Steve Harvey’s powerful initiative, the Steve Harvey Mentoring Campaign, will come to the New York metro area. Created in partnership between The Steve & Marjorie Harvey Foundation and the Open Society Foundation’s Campaign for Black Male Achievement, the Steve Harvey Mentoring Campaign is leading the way to create and expand stronger mentoring relationships impacting African-American boys around the country, with nationwide events to inspire men to become mentors. Driving the ongoing need for mentoring, the Steve Harvey Mentoring Campaign will partner with the leading faith-based mentoring initiative Trinity Mentoring, under the auspices of Straight Talk for Men Fellowship led by Rev. Dr. David Jefferson, Sr., as they host a major mentor recruitment drive for the New York/New Jersey area at Metropolitan Baptist Church – 149 Springfield Avenue, Newark, New Jersey on March 23rd. Become a mentor and inspire African-American boys to achieve their maximum potential, empower their communities, and develop their purpose and leadership. 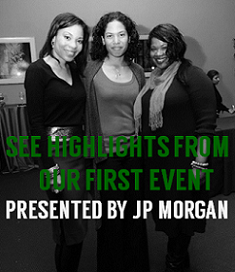 Featuring informational sessions and more at the mentor recruitment drives, the Steve Harvey Mentoring Campaign continues to expand upon The Steve & Marjorie Harvey Foundation’s mentoring initiatives, which has served over 1,000 young men and women around the country to date with their cornerstone mentoring programs for young men and young women. Addressing the economic, social, and educational needs of everyday life, the partnership between The Steve & Marjorie Harvey Foundation and the Open Society Foundation’s Campaign for Black Male Achievement on the Steve Harvey Mentoring Campaign, in Newark with Metropolitan Baptist Church’s Straight Talk for Men Fellowship will also feature national and local partner support from NBC, Big Brothers Big Sisters, National CARES Mentoring Movement, Mentoring USA, The Newark Mentoring Movement, historically black fraternities, local faith-based partners, local community and youth service organizations, local and national radio stations, and interviews on The Steve Harvey Morning Show between Steve Harvey and Shawn Dove, Campaign Manager for the Campaign for Black Male Achievement. 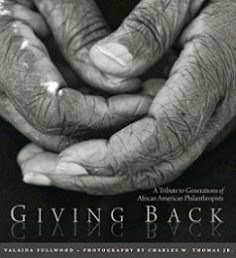 For more information on the Steve Harvey Mentoring Campaign and getting involved, stay tuned to The Steve Harvey Morning Show and visit The Steve & Marjorie Harvey Foundation’s website, www.smharveyfoundation.org, for updates on Steve Harvey Mentoring Campaign event dates for 2013.